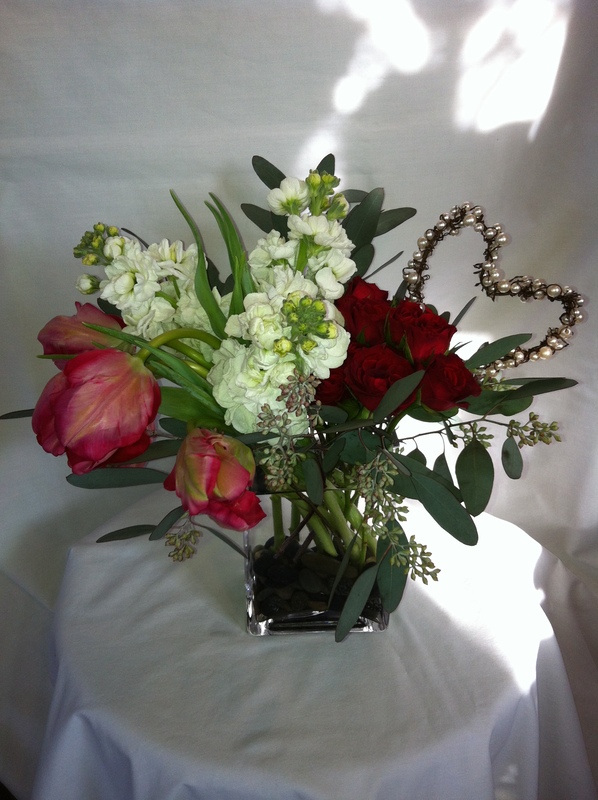 Rectangular vase designed with spray roses, stock and tulips all accented with a heart made of pearl beads. 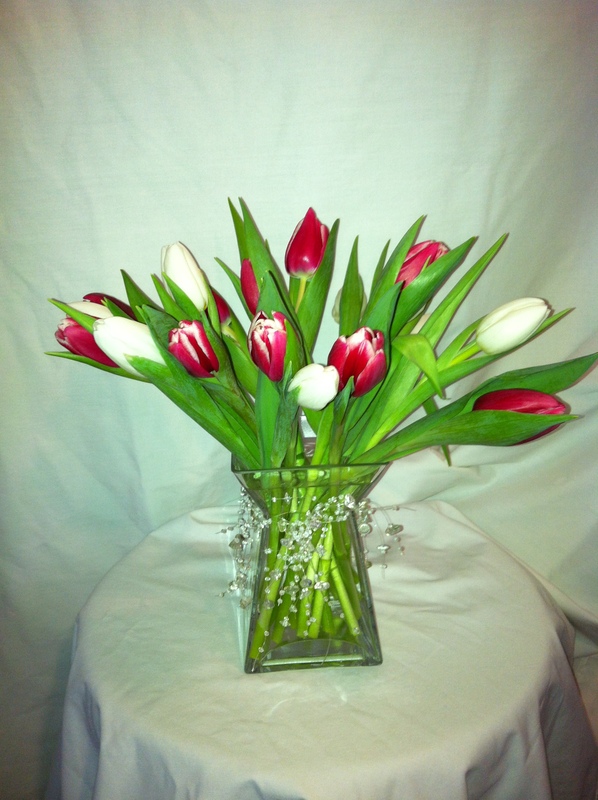 Plateau vase accented with clear beads and designed with tulips. Red ceramic square designed with 1/2 dozen roses, lily grass heart and love beads. 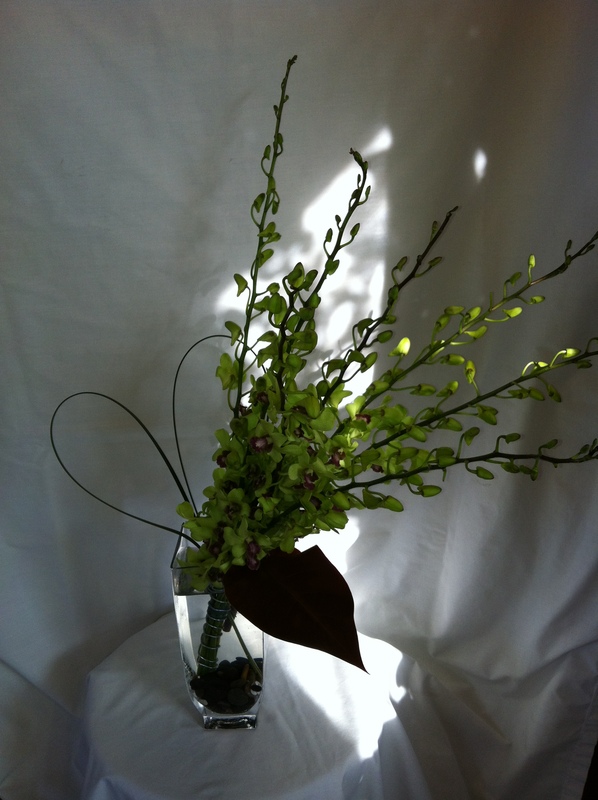 Tall square vase designed atop a polished rock bed with exotic dendrobium orchids, monstera leaf and lily grass heart. 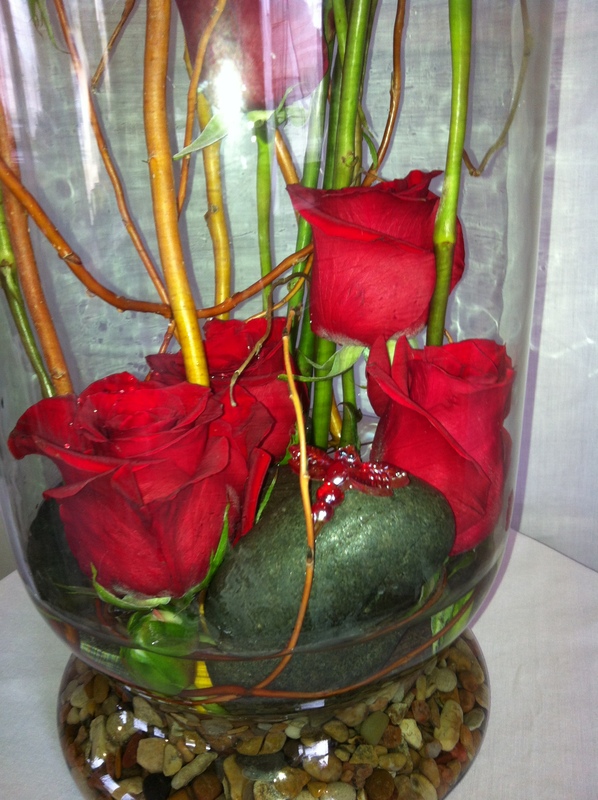 Rectangular vase designed with a dozen rose hand held bouquet anchored with rock focal point. 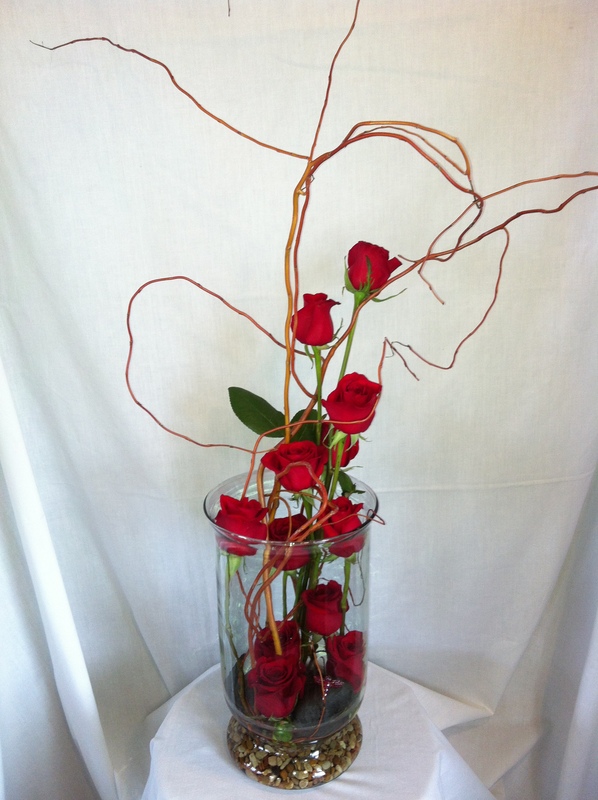 Large cylinder vase designed with curly vines entwined with a dozen roses and a dragonfly perched atop a rock in the rock bed as a focal point. No two are alike. Sculpted Art Dragonfly Focal Point. 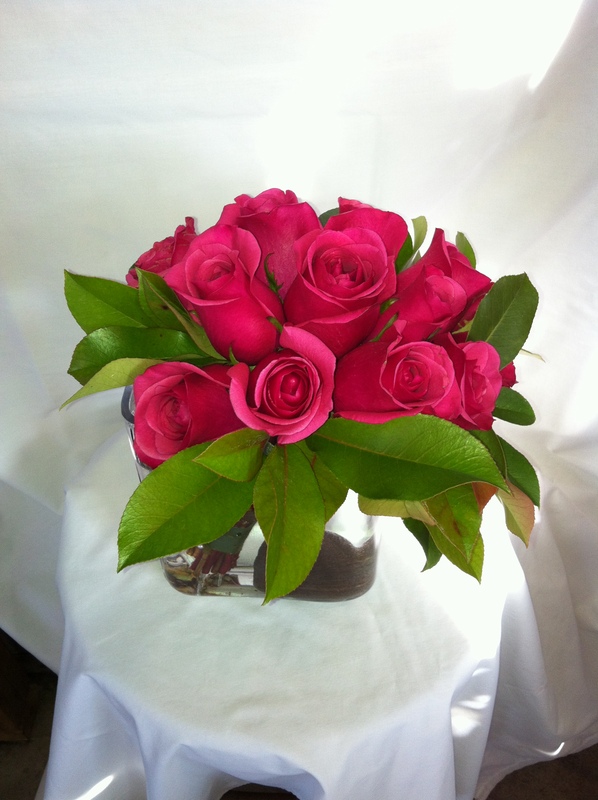 This entry was posted in Recent News and tagged Flowers, Hutto, Love, Valentines. Bookmark the permalink. 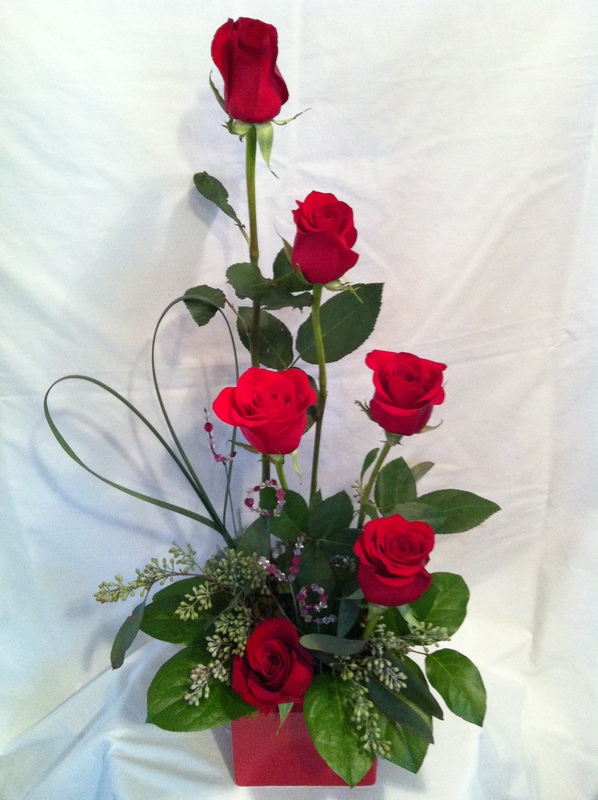 My husband sent myself and my daughter the beautiful sculpted art roses, they are amazing! Everyone at the office was in awe! Thanks for making our day so special. I’m thrilled you and your daughter loved the design. We are blessed to be able to do what we love, being creative and serving our customers.